I’m not sure who won this encounter, over the years few other drivers have gone as hard at it- and swapped as much paint with each other as these blokes. 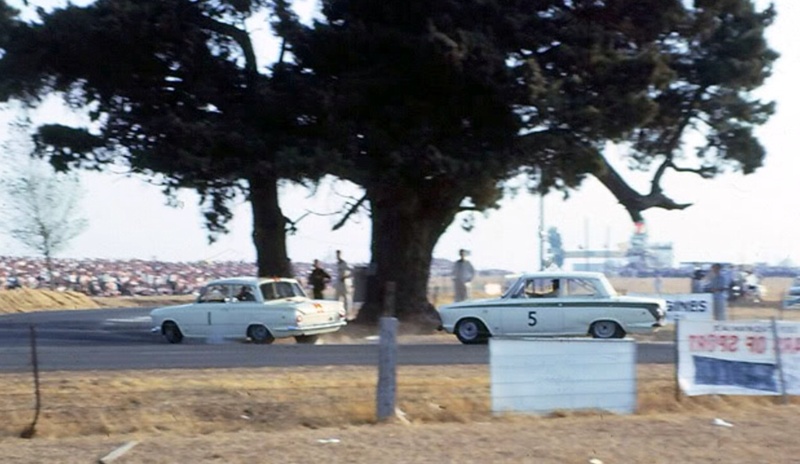 For a short time during 1968 Moffat drove for Bob, he had a few steers of the Elfin 400 Repco sports-racer and Brabham BT23E Repco Tasman machine- boofing them both! 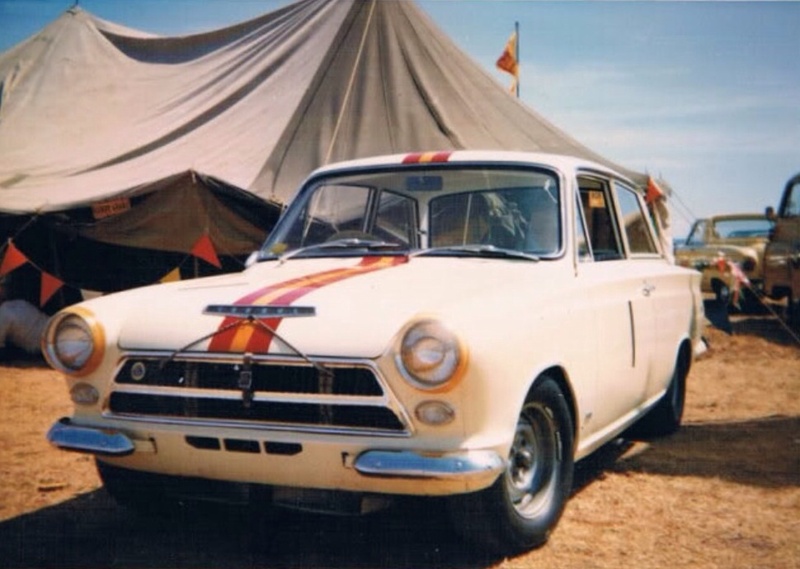 (the 400 at Warwick Farm and BT23E at Sandown) Moffat was soon picked up by Ford as a works driver during the halcyon Falcon GTHO/Superbird phase so the fall-out with Jane was timely really. It was much better as spectators for self-made boy-from-Brunswick, businessman Janey to be ‘The Goodie’ and Canadian born pro-racer Moffat to be ‘The Baddie’- and didn’t they both give us some memorable battles to savour for a decade or so? Their battles were stuff of legendary proportions, and so memorable especially when Norm Beechey was thrown into the mix! Those three were the reason I started racing! I got involved at about the right time- just saw the ‘Stang in its prime and the Camaro only once at Calder. They certainly went at it hard! 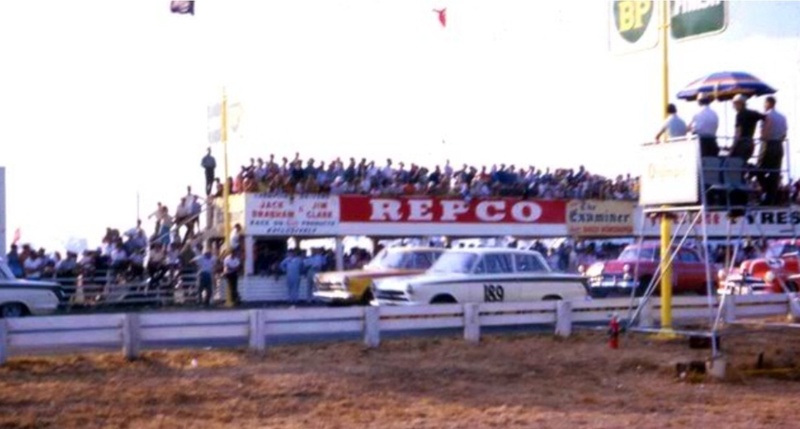 According to Australian Motor Sports, there were two Touring Car support races at that meeting. The Saturday 6 lapper was won by Sir Gawaine Baille (Ford Galaxie) from Jane and Moffat. Monday’s 12 lap race went to Moffat from Brian Foley (Morris Cooper S) and Ian Smith (Morris Cooper), Jane’s car having expired. So I think we can chalk that weekend up to Marvin! Let’s give it to Marvs- looks fair. I’ve probably got enough photos to have a crack at a ‘lite ‘n fluffy’ on the Galaxies in Oz, must add it to the ideas list! It does look a tad second hand. Moffat’s was a works car via his stint in North America- who built Bob’s car?